Presley was arrested by the GBI on Thursday June 28, 2017 and charged with voluntary manslaughter. KINGSLAND (GA) – Family members, children and lawyers for the family of Tony Green, who was shot multiples times and killed by Kingsland Police Officer Zechariah Presley, will speak out and hold a press conference on Friday - June 29 - 12 Noon in front of the Kingsland Court House located at 107 South Lee Street, Kingsland, GA.
Presley was arrested by the GBI on Thursday, June 28, 2017 and charged with voluntary manslaughter. On June 20, according to the GBI, Anthony "Tony" Green ran from a vehicle and Presley pursued, eventually making physical contact. 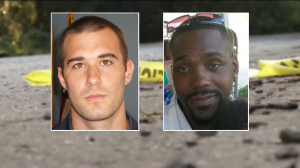 When Green fled again, the GBI said, Presley fired multiple shots, hitting Green who was killed. Tony Green’s funeral is Saturday. The Georgia Bureau of Investigation obtained arrest warrants and on June 27, Presley was arrested and charged with one count of voluntary manslaughter and violation of oath of office. Presley had a history of use of force incidents and complaints that he had stalked and profiled African Americans. If convicted of voluntary manslaughter, Presley faces a maximum of 20 years in prison. According to documents in Presley’s file before the police-involved shooting, Officer Presley had nine incidents during his year and a month on the force.